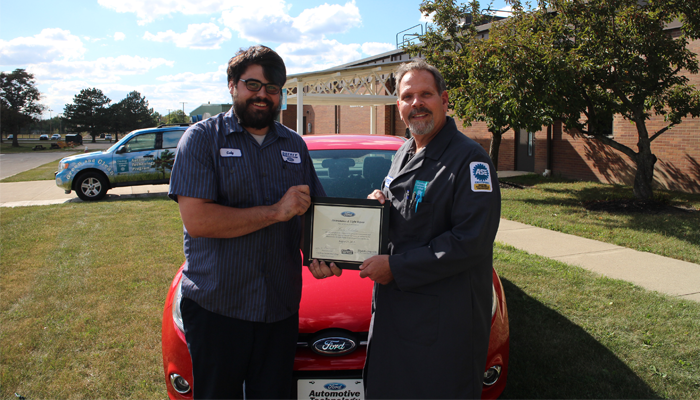 The Ford MLR (Maintenance and Light Repair) program is an alliance between Ford Motor Company and Cuyahoga Community College. The Ford MLR program gives you access to opportunities in profitable and rewarding careers. The retail maintenance and light repair business continues to grow at a faster rate than ever before. For Ford MLR certification, the classes listed below must be taken with instructor, James Gardner and select online courses must also be completed. Students may apply credits toward the Automotive Technology Degree program.